It must be said, I am obsessed with participating in Citizen Science. This might take the form of listing garden birds, a local patch list or trips farther afield. Maybe, it’s the daily transfer of weather records from my diaries, except this is not necessary any longer, due to owning an AWS (automatic weather station). Perhaps, as in today’s instance it’s keeping track of Phenological indicators and yes, in spite of it being November, there can be some events at this time of season. I take immense pleasure from “doing my bit” and it can feel like one’s been “warped back into time” when browsing over those personal snippets of information. Today, as in many recent weeks, I’ve been doing just that and it must be a most valuable way of spending my quiet unemployed time. You can also learn so much from the actual interpretation of your data, the deeper you delve. 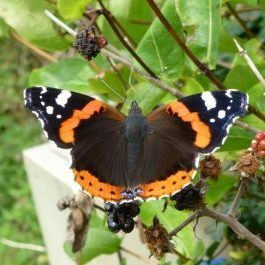 Right, to put an end to my current rambling, I have up to today (11th November) , entered approximately 54 Phenology events onto Google Calendar and these can seen in My natural events calendar on this blog. This enables me and others, should they wish, to track and compare progress of the seasons in further intimate detail. After all, the purpose of this blog is just this. I will attempt to elaborate on each of the events, as they unfold, over the course of the climatic season. Hopefully then it will be possible to then explain their reasoning’s for happening on a given date. Learning from this, we may be able to ask why the phenological event differs from others within the dataset. How they may or may not then be used to forecast forthcoming weather etc. Science in this subject is still in its relative infancy and this is precisely why I feel the need to explore my own records. Previous How strong is the sun in November? Next Not what to expect, come Mid-November! Glad you’re embracing your inner anorak! I try to hide it a bit more but I agree completely, I submit hundreds of records each year of wildlife around the place and every little helps! Excellent use of your time and will be interesting to see what these records lead to, understanding wise, in the future. I too observe nature, but record it in a different way. I’ve had a few comments now, so I’m almost becoming proud of being an anorak. Do tell? How do you observe and record the fantastic natural world. One again Tony – a very interesting post. (Apologies for not seeing this blog sooner, so my comments are very late). You mention “climatic seasons” in this post. How would you define a “climatic season” I wonder? See my other post. I have been tracking Phenology over a period of nearly 20 years, so have a look at the definition of Phenology as I use climate in that particular context. I’ll get there eventually, it just may take me a bit of time! No worries Doug. I might not have always used “climate” in the right context either! I’ve posted a comment on your blog if you would be as kind to reply at some point.